In a new approach to environmental photography, Dana Fritz explores the world’s largest enclosed landscapes: Arizona’s Biosphere 2, Cornwall’s Eden Project, and Nebraska’s Lied Jungle and Desert Dome at the Henry Doorly Zoo. In these vivaria, plants are grown amid carefully constructed representations of the natural world to entertain and educate tourists while also supporting scientific research. Together, these architectural and engineering marvels stand as working symbols of our complex relationship with the environment. Giant terraria require human control of temperature, humidity, irrigation, insects, weeds, and other conditions to create otherwise impossible ecosystems. While technical demands inform the design of these spaces, the juxtapositions of natural and artificial elements generate striking visual paradoxes that can go unnoticed. Here Fritz turns away from visitors’ prepared sight lines, revealing alternate views that dispel the illusion of natural conditions. 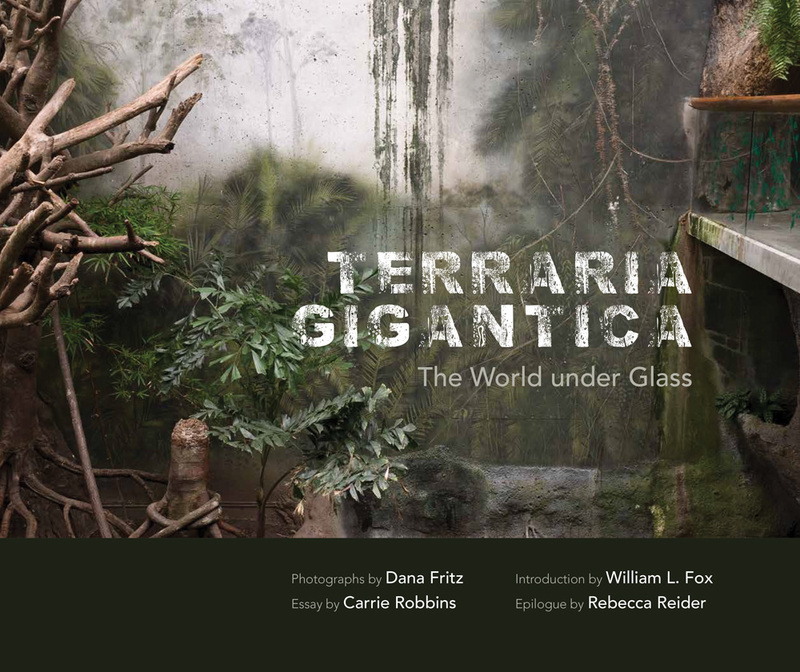 Inviting questions about what it means to create and contain landscapes, Terraria Gigantica inspires contemplation of our ecological future. Dana Fritz is a professor of art at the University of Nebraska–Lincoln. Her work has been exhibited widely in the United States and Japan and is held in several public collections worldwide.